Rotisseries from Rotisol world leader in rotisserie and concept design for over 60 years. 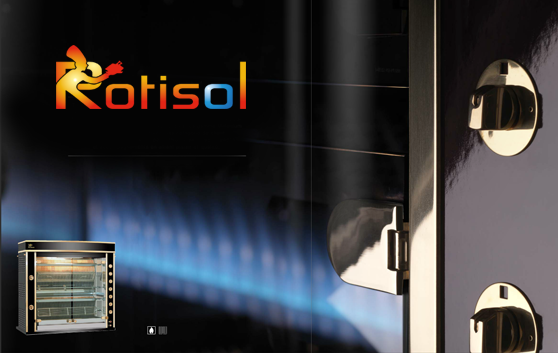 Since 1954, Rotisol S.A. has been crafting the world’s most beautiful and efficient rotisseries and catering equipment from its state-of-the-art manufacturing facilities in Chelles, France. An independent company owned and run by the same family for over 50 years, Rotisol not only continues the fine tradition of this historic and popular style of French cooking, it has been responsible for many innovations over the years. Over the course of the last fifty years Rotisol has been expanding its rotisserie range to cater to growing international demand for its quality products. It now has offices in Europe, the United States, and Poland, and is the world’s leading designer and manufacturer of advanced rotisserie systems. The quality of Rotisol’s design, materials and production facilities, as well as our excellent back-up support and services, has enabled us to expand from strength to strength. Our rotisseries and other range of products are now used by renowned restaurants, supermarkets, hotels and chain stores throughout the world. Rotisol’s precise engineering has designed the exact rotation speed required by the European style of cooking. It allows meat to constantly baste itself, sealing in natural juices while letting fat drip off. Cooking times are very fast, taking less than an hour to roast a typical 1kg chicken. With the stainless steel burners, your rotisserie will always cook your produce in the same amount of time – even after years of intensive use. With Rotisol you will give your customers delicious, low-cholesterol, healthy roast chickens and meats cooked to perfection every time. Over 300 rotisserie recipes have been created by our Food Specialists who can also assist you in developing new products and innovative menu ideas. LISTENING, CONSULTING, DESIGN, MANUFACTURING … SOME SOME AREAS OF COMPETENCE THAT WE OFFER YOU TO ACCOMPANY YOU TO THE BEST IN YOUR EQUIPMENT PROJECTS. We also market a range of maintenance products specially designed for the rotisseries that we manufactured, and assortments of spices and marinades, essential to the success of your project – concept, have been developed with specialized partners . Spit cooking is a pleasure for both the eyes and the smell. We wish to your satisfaction, and that of your customers. A professional rotisserie bought from us offers you the guarantee of satisfied customers by your services. Among our range of professional cooking equipment, you will find gas rotisseries, some of which have the advantage of being mobile and allowing the sale on the markets, or in fairgrounds for example. Another possibility is the electric rotisserie, which we also offer very economical models for their performance.